“These county lessons are significant because Medicaid is the largest funder of preventive health, births/pregnancy, drug recovery and mental health treatment services. When we talk about the growing costs of Medicaid, it is prudent to remember the population being served. 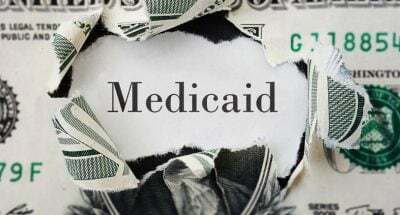 Of the 80 million individuals covered by Medicaid today, more than 34 million are children under 18 years old, 7.3 million are low-income elderly and 11 million are disabled. Approximately one-third are very low-income adults between ages 19 and 64, yet these same adults account for less than 16 percent of Medicaid costs. 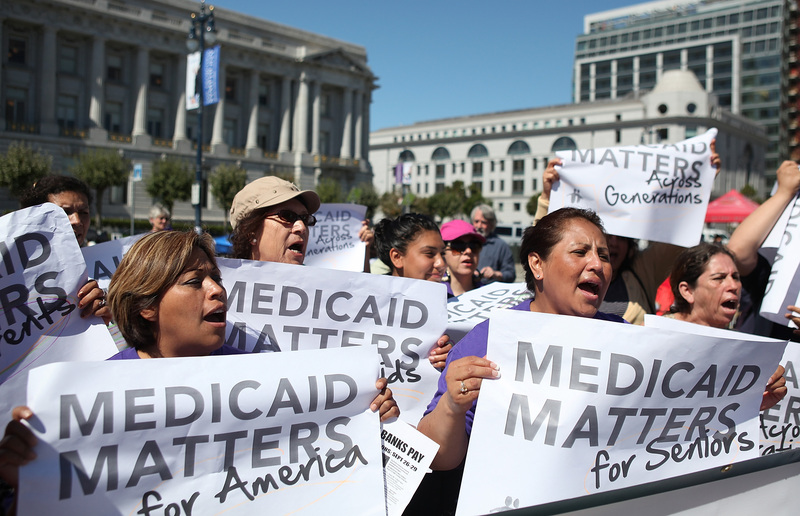 By comparison, the elderly and disabled represent 61 percent of Medicaid costs, with children at around 20 percent. In fact, 50 percent of all U.S. births are covered by Medicaid.” Matthew D. Chase is the executive director of the National Association of Counties. Who, exactly, are the people that the Republicans in the US Congress represent? Or, should we ask, do they have the best interests of their local constituents in mind? If constituent’s means insurance companies, donors and the financial fascist gods they worship, then they are wonderful representatives. They are doing what their masters seek and that is the elimination of 80 million non-economically productive old, disabled and young Americans who rely on Medicaid. It is difficult to comprehend why Republican voters are so inclined to watch as their fellow citizens are likely to be cut off from the lifeline that is Medicaid. It is more appalling, I suppose, to see the Democrats and their constituents standing by, not fighting the Trump-Republican madness, offering no plan and playing it safe in hopes of winning congressional seats in the 2018 elections. In fact, they seem willing to sacrifice those 80 million Americans just to retain their house and senate seats. If Americans who identify as Republicans–and by their silence Democrats–are willing to kill off, or cause the suffering of so many of their fellow citizens, what does that say about the state of the United States? We are told repeatedly that the economic recovery is on track, unemployment is down, and the stock market is soaring to historical heights. But you would not think that after visiting many of America’s cities, rural areas and many small communities. And now comes word from America’s economic and political overlords that there are not enough qualified employees in America to fill positions that are available. Who is to blame for that? Why, of course, the “little people”, not the financial and ideological savages who are ripping apart the country. To force the minions to become qualified, Republicans and Democrats seek to privatize the entire US education system ensuring that corporate teachers will train “we the people” to become qualified for this and that job. But that will create two societies in the United States: One in which 30 percent of Americans fill all the “good” jobs and are gated off in their own communities protected by private security companies. The other 70 percent will include homeless tribes, squatters, the unemployed, the sick, the non-productive, and those 80 million Americans dumped off Medicaid. But, hey! 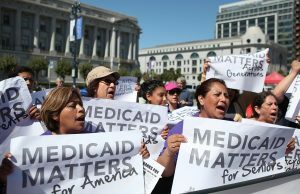 For an $800 billion tax cut for the wealthy–thanks to crippling Medicaid–what is a few million unproductive lives? If euthanasia became acceptable across the land, Trump and his Republican moneychangers would pass legislation containing standards staying alive on productivity, health, and taxable income. The Democrats would shrug their shoulders. The fact is that the American people are the nation’s most important infrastructure. But with each passing day, they are being subjected to death on the installment plan. It took a few decades for the financial cannibals to eat the social programs of Franklin D. Roosevelt and Lyndon Johnson. President Jimmy Carter kicked it off with a focus on urban areas. 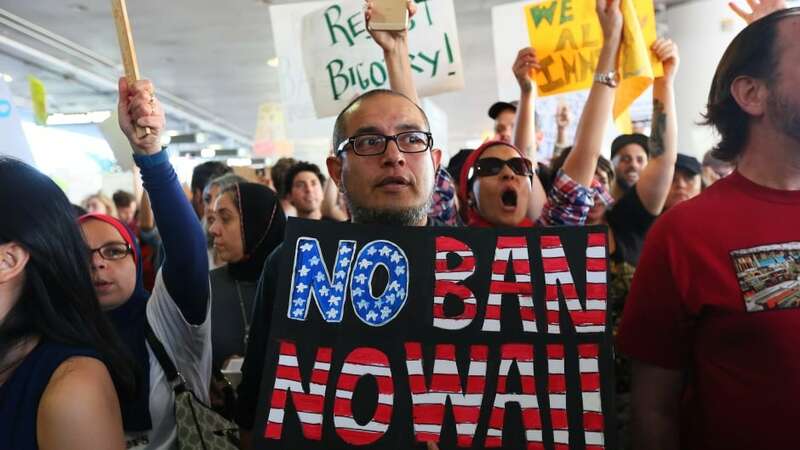 On June 26, the US Supreme Court weighed in on Trump’s travel ban. The Court ruled that, absent a foreign national’s demonstrated connection to someone in the United States (family, employer, etc. ), the person would not be allowed into the country. The Supreme Court will hear the case in October 2017. It is anyone’s guess what the court will ultimately rule. Pentagon officials are fond of saying that the world is the most volatile that they’ve seen in their careers. Indeed it is, and they need look no further than their own homeland. A good comparison for the internal political, social and cultural dynamic of the United States homeland is the melting and crumbling ice sheets in West Antarctica. Scientists say there are “natural” processes at work on the ice sheets.Can we say that “natural” historical processes at work that are fracturing the American Republic? Is Trump the political version of Climate Change? Trump and the Republicans—and their partners in crime the Democrats—are accelerating the crackup of the American Republic. Trump’s people are unrepentant liars, no more so than Trump himself. Disaster follows in Trump’s wake. The Boeing plant that Trump visited is dumping 200 workers. Saudi Arabia, with Trump’s support, seeks to turn Qatar into a Saudi protectorate. The Saudi’s, Egypt and the UAE have in place an economic embargo of Qatar underway that Trump supports. The Middle East and Persian Gulf countries seem to be headed for more violence, if that is possible. And now, the US is engaging in combat action against Syrian government forces that are supported by Russian and Iranian military forces. But all’s well at Trump’s properties. Blood is flowing from the US Constitution, the Bill of Rights and the Declaration of Independence. Lingchi, or death by 1,000 cuts, is the Republican’s preferred method for turning the American Republic into a corporate and security state while culling the non-productive human herd in America. We were all taught as young kids that it was better to fight the bad guys over “there” instead of “here”. But what if “here” turns into a dystopian republic as portrayed in the novels We, Brave New World, and 1984? What if we are, God forbid, headed towards a version of Syria and Iraq? So many years have passed since George W. Bush was president. I thought that was a dangerous time, and it was. But Trump and the Republicans—and their woeful Democratic “opponents”—have taken wickedness to a new levels of savageness. Civil rights enforcement are in jeopardy with Jeff Sessions as attorney general. The butchers in the Office of Management and Budget and Treasury could care less about 70 percent of the country’s populace. The Trump administration is nearly lily white in a land filled with Black, Brown and Hispanic, and LGBTQ populations. The only cabinet member worth respecting is Defense Secretary Jim Mattis. He allowed open celebrations in the Pentagon for Black, Brown, Hispanic, LGBTQ and First Peoples. Many say after an article like this, well, that’s nice, but what is your solution? The answer to that is in an article I wrote on July 25, 2005. I think it still applies 12 years later. Civil justice groups need to build seamless cross-cultural and political networks in communities around the land. If no new political party can be created, then the Democrats must be retrained to represent the people. Maybe it would help if people stopped looking down into their mobile devices and take a look at the world around them.